Are you tired of wondering when your utility rates will increase again? Have you considered what it would be like to own your energy? Now is a great time to switch and save with solar energy in Indiana. Utility costs in Indiana have risen in the last decade, due mostly to the utility’s need to add equipment and services, and to comply with stricter environmental rules. However, when you switch to solar power, you are investing in your home, rather than the utility’s equipment. At POWERHOME Solar, our mission is to increase the number of homes that use solar power in Indiana. That way, Hoosiers can reduce their current electricity bills and keep saving in the future. Our objective is to transform how Indiana homeowners generate their energy. Indiana homeowners who switch to solar can take advantage of a combination of state and federal incentives. Indiana has a renewable energy property tax exemption that exempts the value of the system from property taxes, and many of the components are exempt from sales tax. 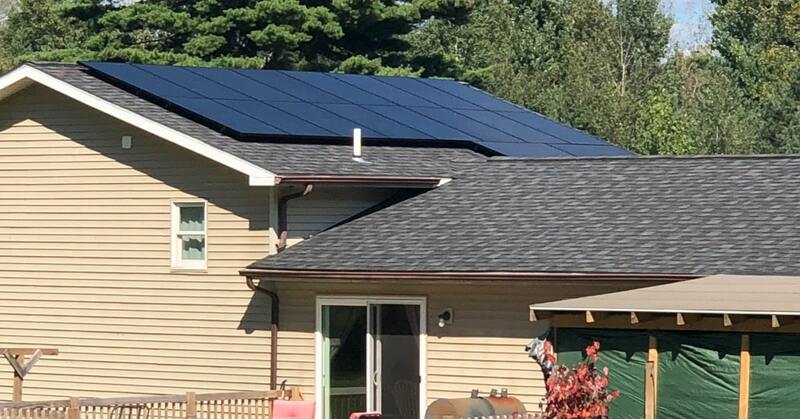 In addition, Indiana has a net metering program that allows you to send your extra electricity back into the grid and get credits on your electric bill. And don’t forget the federal investment tax credit, or solar tax credit, deducts 30% of the cost from your taxes. Utilities can be a burdensome expense for Hoosiers since you need water and heat to survive, and you’re often locked in with who provides these necessary services to your home. At POWERHOME Solar, we think that Indiana homeowners shouldn’t have to worry about whether their utility bill will go up unexpectedly. We think that homeowners in Indiana, and the entire U.S., should claim independence from energy companies by switching to solar power. Often, homeowners in Indiana think about using solar power but hesitate to switch because they think installing solar panels is expensive. In fact, the cost of installing solar panels has fallen more than 70% since 2010. And at POWERHOME Solar, we offer a 100%, $0 down financing plan that makes solar power much more affordable. You can switch to solar with no out-of-pocket expense, or you can choose to buy your solar power outright. Either way, you’ll start seeing a reduction in your energy bill soon. A simple phone call is all you need to start the process of switching to solar energy. One of our solar energy experts will ascertain whether your home gets enough peak sun hours for solar. Then, we’ll set up a date to come to your home to gather more information. Our solar energy expert will complete an audit of your energy usage and recommend the best solar panel system for your needs. You’ll get a proposal tailored to your projected energy requirements. Once you’ve made your decision, we’ll set up a date to install your solar energy system. Unlike some solar panel companies in Indiana, we are a roofing company as well. Our dependable, professional team is GAF-certified and up-to-date on the latest installation methods. Known for its production of corn and love of basketball, the Hoosier State gets an average of 4-plus peak sun hours a day, which generates plenty of solar energy for most homes. Peak hours are key, because that’s when solar panels generate the most energy. However, solar panels also create energy during non-peak hours and snowy, cloudy or rainy days. Solar panel technology has improved immensely in the last decade. In fact, solar panels are now at peak efficiency, which is good news if you want solar panels in Indiana. Modern solar panel design is sleek and practical. They blend in seamlessly with your roof. It is these improvements in design and efficiency that have made solar power in Indiana so practical. 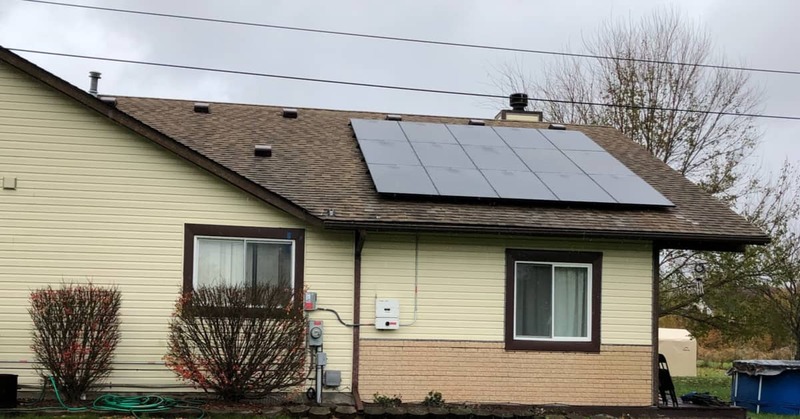 When you consider the 30% federal income tax credit, the inevitable rise in electricity rates, and the affordability of solar panels, it’s easy to see how solar panels can benefit Indiana homeowners. Indiana has electricity prices just below the national average. But those prices aren’t likely to stay so low. Most of the electricity in Indiana is generated by burning millions of tons of fossil fuels. The cost of fossil fuels may be low now, but the environmental costs are high. The combination of dwindling supply and infrastructure maintenance is likely to drive up the cost of electricity in Indiana in the coming years. Switching to solar power now will put you ahead of the curve. While your neighbors are paying through the nose for electricity generated by outdated fuels, you’ll be sitting pretty generating your own energy with those sweet, shiny solar panels on your roof. Switching to solar power is a win for you and your family. Will I Save Money with Solar Power in Indiana? Solar panels can dramatically reduce the amount of energy you need to purchase from a utility. There are, however, many factors that determine how much your bill can be reduced by switching to solar power. To find out how much you should expect to save when you switch to solar power in Indiana, call one of our expert solar consultants today. While many people worry about roof damage when installing solar panels, properly-installed panels won’t damage your roof, but rather turn it into an energy generator for your family. Our installers take special precautionary steps when installing panels to prevent leaks and damage to your roof. We are a roofing company as well as a solar company, so when we install your solar panels, you can be sure they are installed correctly without damaging your roof. 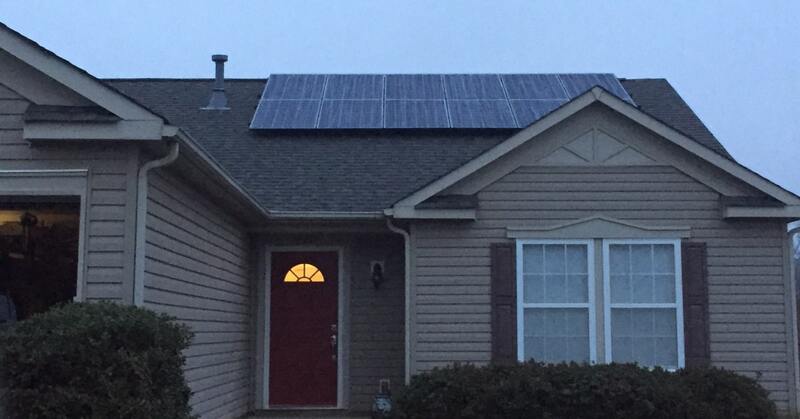 Do Solar Panels Work in Indiana Winters? Although Indiana winters tend to be cloudy, cold and snowy, the state still gets average of 4 peak sun hours a day. And while solar panels work best during peak sun, as long as any sunlight reaches solar panels, they will generate power. It doesn’t matter if it is cloudy, cold, snowy or rainy. In addition, when it is cold, your solar panels may work better, since they do not lose energy due to hot weather. In addition, the snow can reflect light, which helps the solar panels work more efficiently.